Organized by UO graduate and guest curator Meredith Lancaster, this online exhibition and related events originally was displayed at the Jordan Schnitzer Museum of Art in 2018. The exhibit investigates the politics of hair, racialized beauty standards, hair rituals, and the differences in expectations between men and women with regard to hair. Especially relevant in the current politically and culturally charged climate and relevant to issues of access, equity, and inclusion, Don’t Touch My Hair explores how beauty is defined and represented within and outside one’s community. 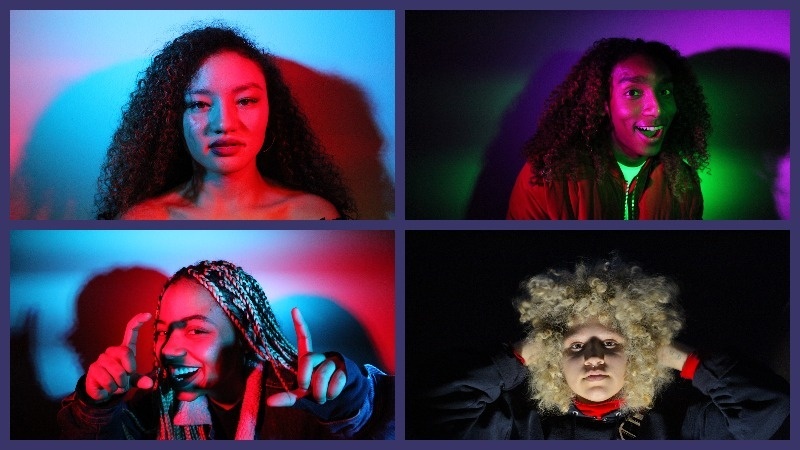 Lancaster and a team of student collaborators invited students and student groups across the UO campus to participate in conversations about hair, both seen and unseen, as a site of resistance and affirmation. During open forums, students decided if they would like to sit for photographic portraits. Next to the portraits were each student's personal hair stories. The project and related events were generously funded by the UO Division of Equity and Inclusion. In addition to the original portraits shown at the exhibit, also included in this online exhibit are the photographies, selected group and community conversations photo, a video on Ethnic Hair Day, created by Jasmine Jackson, University of Oregon School of Journalism student and one of the photographers for the exhibit, and a video about the exhibit created by Jaycie Schenone, University of Oregon School of Journalism student.